We’ve tried a lot of tire repair kits through the years, many of which are pretty much like strips of beef jerky coated in tobacco juice. Patching a hole with one of these kits is always a hit or miss adventure. While it might get you back to camp, it’s almost certain to have a slow leak later. The problem is, there is nothing to coat the inside of the tire and work its way into the carcass wound. The old saying, “Necessity is the mother of invention,” was never more true than with TireJect. Like every other ATV and Side x Side rider on the planet, the developers of TireJect had their fill of tires that went flat in the garage seemingly for no known reason. TireJect is the final answer to that problem, and a whole lot more. The formula of TireJect is unlike anything else in that one of the key components is Kevlar. That’s right; the same stuff that stops bullets is now ready to stop leaks as well. The way it works is the Kevlar fibers are carried in a liquid solution, and when introduced to the tire through the valve stem, the liquid coats the inside of the tire and seeks a uniform coating thickness while flowing freely into the tightest cut or puncture. It naturally seeks out any tire problems. 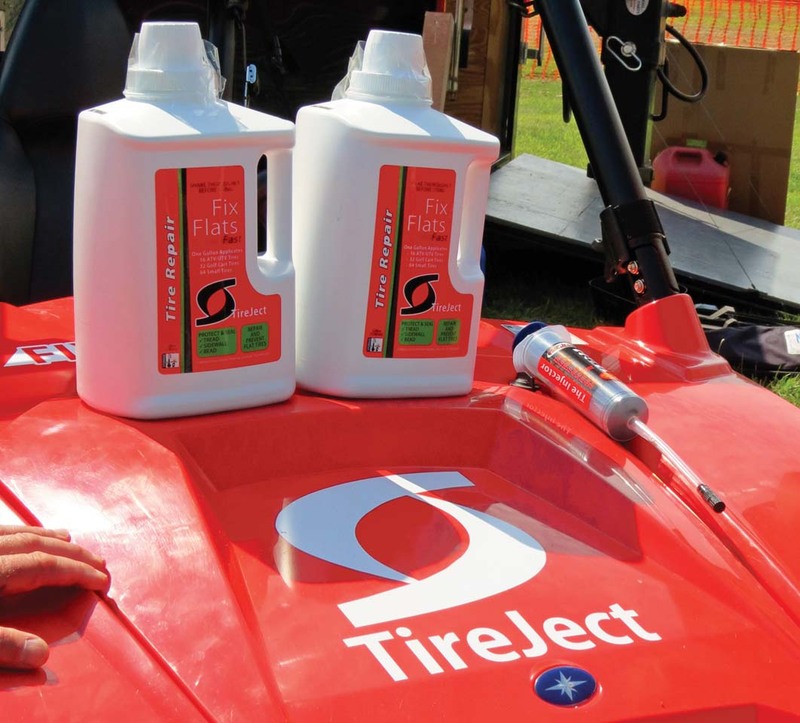 Unlike some other tire sealants, it also doesn’t throw the tire out of balance. YES! We’ve carried the TireJect along with us over the course of two years and it has come to the rescue many times. 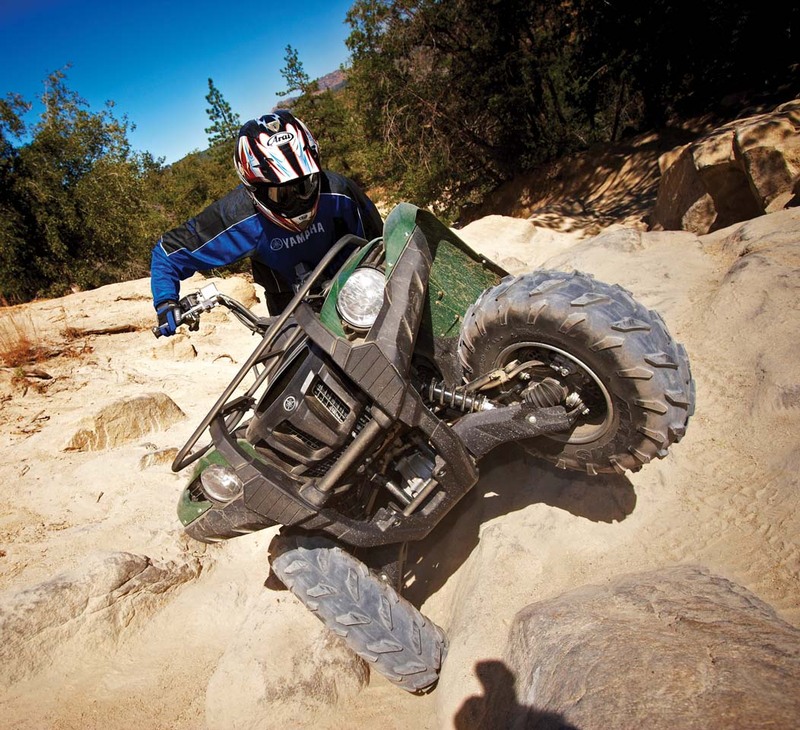 Last year it rode with us through the boulder strewn fields of Rock Run Recreation’s Summer Blast and when fellow riders Trish and Dave Cotterman had a tire problem, we quickly were able to seal the leak and get them back on the trail. We also introduced it to the crew at North Country Rivers in Bingham, Maine for their rental fleet. 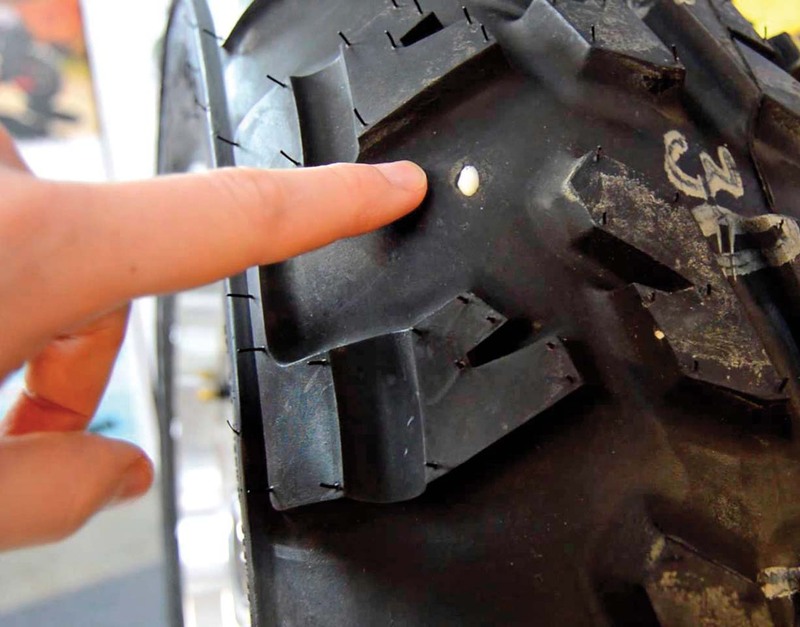 Flats and tire cuts are common there thanks to the many sharp rocks Maine seems to sprout, and it’s made their maintenance task considerably easier. The crew keeps it in stock now! Once introduced to the tire, TireJect bonds quickly and, thanks to the Kevlar fibers, creates a strong seal that flows into any intrusion and wedges itself in place permanently. Over the course of a year, we have used it on everything from truck, lawn mower, and UTV tires and it has not let us down. 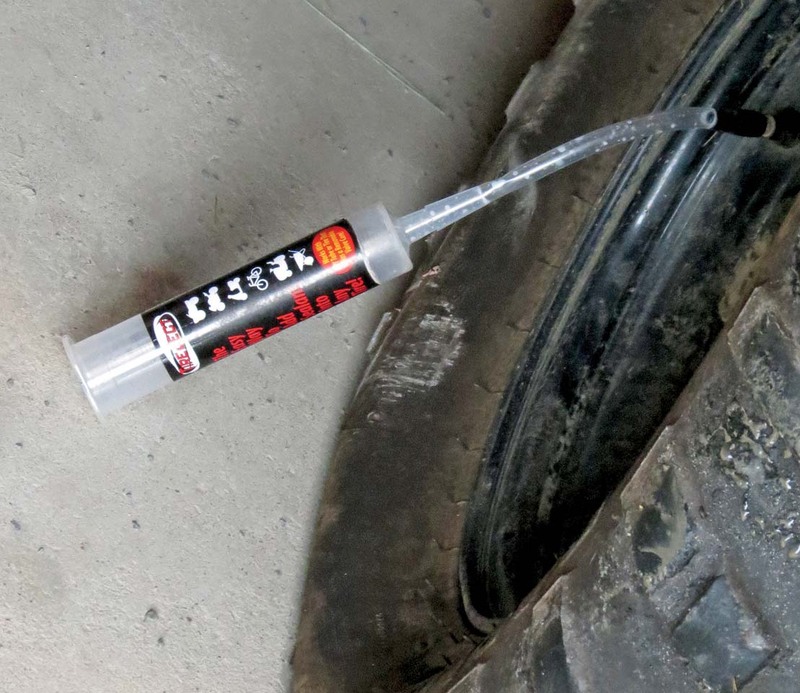 All that’s needed to use the TireJect is to pour a little into the syringe-like injector, attach it to the valve stem, and inject it into the tire. It will even seal the sidewall and bead! 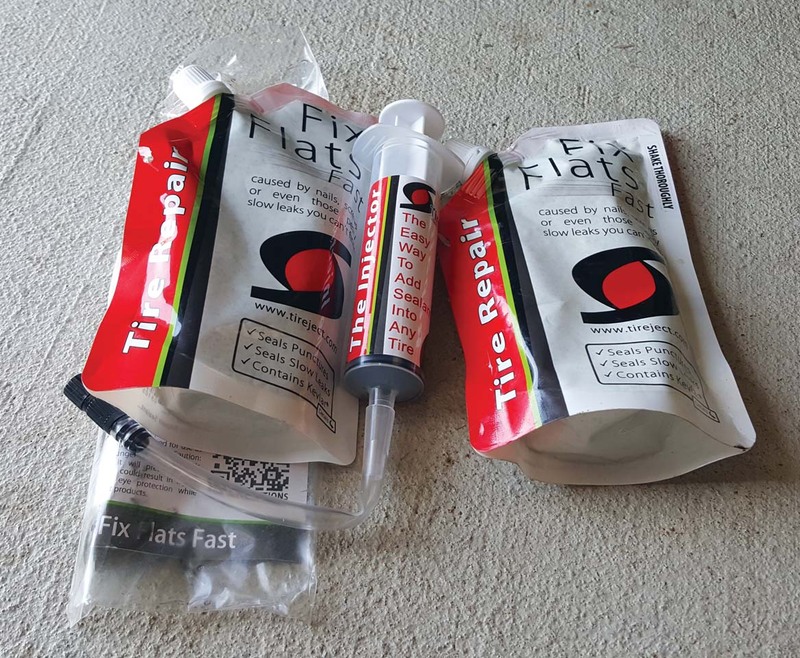 For large punctures, you can first install a couple plugs if needed, and then coat the inside with TireJect. Thankfully, it is a 100% non-toxic/non-hazardous formulation that will not rust or deteriorate the rim and tire. In fact, TireJect™ is fully water soluble and cleans up with cold water. TireJect is not just a temporary repair. 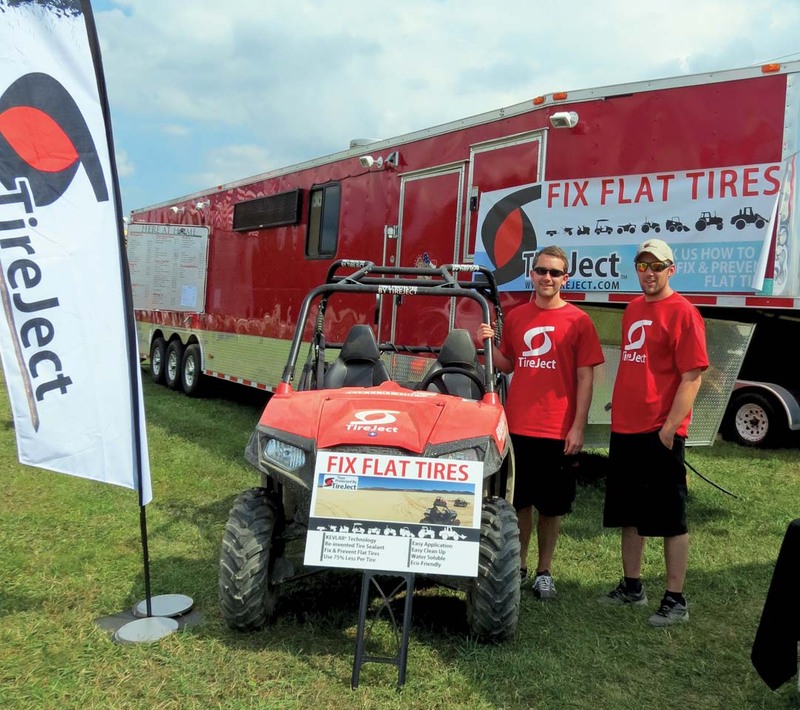 It’s a permanent solution for repairing a flat tire in any off-road tubeless tire: ATV, UTV, golf cart, utility trailer, lawn & garden and even tractors. 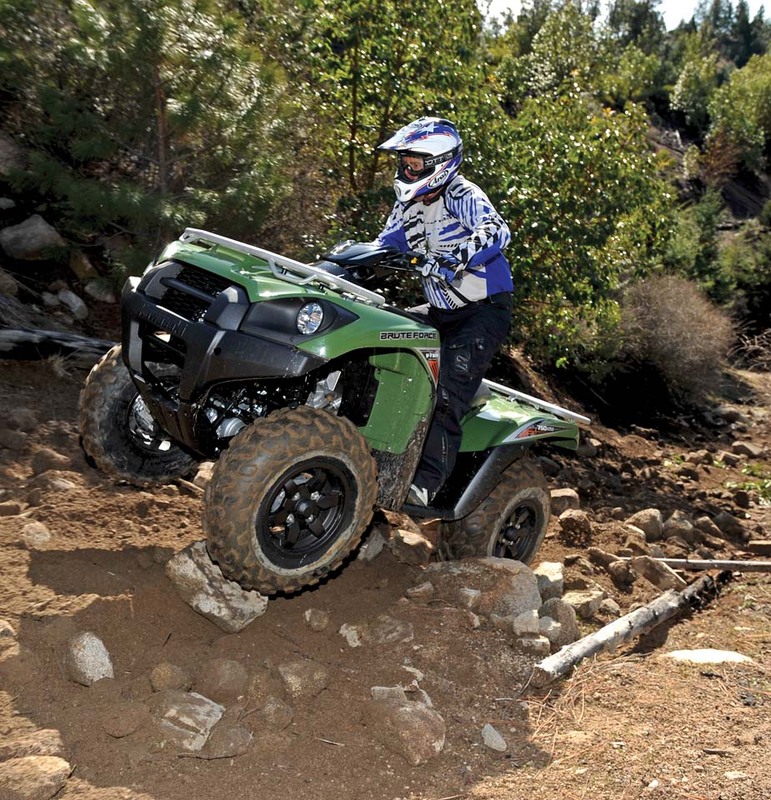 Kits are available in 8oz, 16oz, 32oz, and gallon sizes, but 8 ounces will get the job done for most ATV tires. Along with a good winch, our Bubba Rope, and first aid kit, we consider TireJect emergency protection. It’s almost like an insurance package for your tire, and your weekend!